3 Bedroom Link Detached House For Sale in Milton Keynes for Guide Price £310,000. 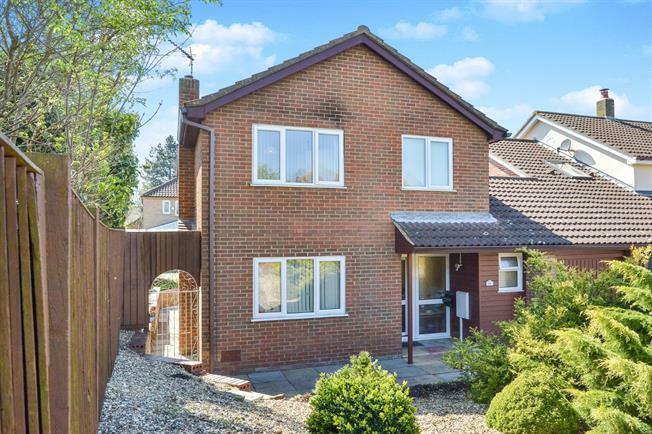 This spacious Three bedroom LINK DETACHED property is a stones throw away from the Furzton Lake, the property comprises of entrance hall, downstairs cloakroom, SEPARATE RECEPTION ROOMS, Lounge, Diner & Separate kitchen. The ground floor also has access into a low maintenance garden there is also a SINGLE GARAGE. On the first floor there is Three bedrooms and Family bathroom. To the front aspect the property boasts AMPLE PARKING. UPVC double double glazed door, opening onto the garden. Double glazed uPVC window facing the rear overlooking the garden. UPVC side double glazed door, opening onto the garden. Double glazed uPVC window facing the rear overlooking the garden. Double glazed uPVC window with obscure glass facing the rear overlooking the garden.